Idra Novey sets her stage in a familiar-enough time and place. But as the story unfolds in Those Who Knew, that time shifts past and present, and that sense of place is increasingly askew, disarming. A quietly powerful novel told through alternating perspectives of an activist, a survivor, an outsider, a politician, a playwright, the Odyssey's First Editions Club selection for December 2018 is both commentary and question about a vicious circle needing to be broken. *Signed copies available. 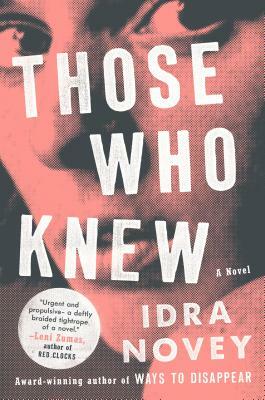 Idra Novey is the award-winning author of the novel Ways to Disappear. Her work has been translated into ten languages and she's translated numerous authors from Spanish and Portuguese, most recently Clarice Lispector. She lives in Brooklyn with her family.